County Line Oct 2006 Made this one to the beach! Wellfleet '07 Sunrise Air:32 Water:59 Overhead and Empty. Sweet! NEW!! 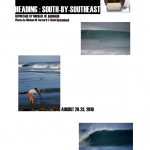 An illustrated PDF account of a recent surf-trip to Isla Natividad, Baja Sur. 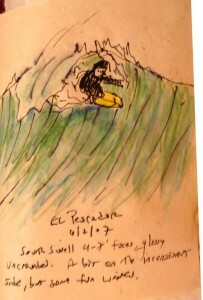 Michael has been an active surfer since his teenage years. 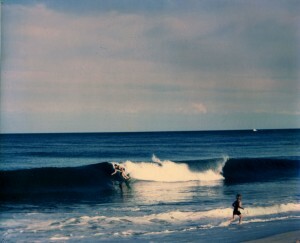 He tried to start surfing in the 50’s on Cape Cod’s Ballston Beach with an old Hawaiian hollow-core paddle board. This had been left in the garage of an old sea captain who had sailed to “Sandwich Islands” many times in his career. Must have been a souvenir. In any case, this first attempt at surfing didn’t go too well, the old, dried-out paddle board took on lots of water through its open seams and sank rather quickly.